If a vehicle is stuck in snow, mud, or water in a place that is not easily accessible, an expert would be needed to pull it out. At times like these, winching services are called to assist in fishing out the vehicle. This type of roadside assistance usually has professional drivers that are armed with the right equipment to pull the automobile or truck out of a jam. Winching services are especially needed when owners need to extract their vehicle from roadside areas that are a challenge to get into. Part of this service is getting the vehicle safely back into a solid surface. When this happens, it constitutes an emergency situation. When a vehicle ends up in a ditch or if it gets stuck in sticky mud or deep snow or ice, it is next to impossible to get it out without needing assistance from professionals who are well-equipped and trained to solve this problem. Before calling a winching service provider, vehicle owners should have a very clear picture of the situation. Describing the exact location, the nearest accessible road and the type of vehicle will be a big help. Extrication provisions also specify that if a vehicle becomes stuck, it can be winched if it is adjacent to a passable thoroughfare and can be safely reached from a drivable road surface. It will also be very helpful to let the agent know exactly where the vehicle is stuck, as each case is different and requires specific winching equipment. Everyone knows that vehicle owners cannot choose a time and place when their vehicles get stuck in mud or snow. Emergencies like these just happen anytime, anywhere. This is the reason why everyone needs a reliable winching service that is open 24 hours a day, 7 days a week. 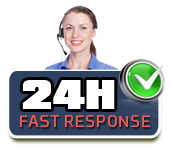 24/7 winching services Dallas TX is a big help, providing convenience to customers who need immediate assistance. One phone call should be all it takes for a team to be dispatched to the location. In most cases, the response team will be at the scene in less than an hour after the call has been made. Cars or trucks that are stuck in snow, mud, sand or anywhere that makes vehicles lose traction should be handled by experienced professionals. Customers need a roadside assistance company with a team of experts that makes sure that your vehicle will be safely pulled out. A good winching service company should be able to determine what type of equipment to bring for specific situations and conditions. That is why it is very important to give all the details to the customer service representative so that the team will be able to bring the right equipment. Since this is a highly specialized service, the company should have ample experience and expert knowledge to bring right equipment that will get the job done quickly and efficiently. Captain Towing is a well-known towing and roadside provider in the city of Dallas. It offers 24/7 winching services Dallas TX. Captain Towing is a business that is dedicated to providing quality winching services in Dallas TX, plus much more. Their team of professional towers are committed to quality service. With the company’s state-of-the-art-equipment and excellent level of service, customers are surprised with its affordable rates. Captain Towing goes the extra mile by providing a customized and detailed payment plan that suits clients’ budget needs. Captain Towing understands that vehicles that get stuck in mud, snow, or sand gives undue stress to its owners and they are committed to getting their customers out of this unfortunate situation conveniently, safely, and efficiently.